Here in one volume are the theatrical works of the young Russian dramatist, prosaist and literary critic, Lev Natanovich Lunts (1901-1924). Included are five articles on the theater, three play reviews, five plays and one screenplay, plus a preface by Veniamin Kaverin and reminiscences of Lunts by Maxim Gorky, Konstantin Fedin and Yelizaveta Polonskaya. The plays are The Son of the Sheikh, Outside the Law, Bertrand de Born, The Apes Are Coming! and The City of Truth. 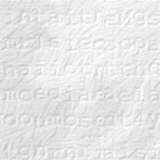 The silent screenplay is Things in Revolt. All of these materials convey the avant-garde spirit of the post-revolutionary Russian theater, while the plays and screenplay develop the theme of individuality vs. the mass mind with remarkable verve and astonishing erudition. Things in Revolt is the first volume of three devoted to Lunts. The other two are In the Wilderness: The Prose of Lev Lunts, and Journey On a Hospital Bed: The Correspondence & Memoir of Lev Lunts. Each volume is self-contained and may be read apart from the other two, though each naturally complements the other. Most of the works in the three volumes are translated for the first time. 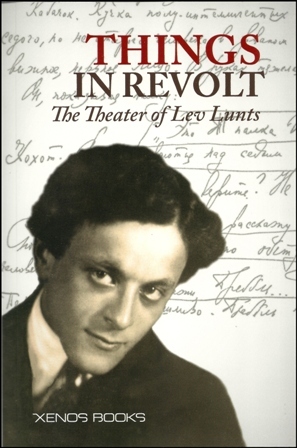 LEV LUNTS (1901-1924) was a literary firebrand of post-revolutionary Russia, a dramatist, proser and polemicist, and one of the founders of the "Serapion Brothers." His plays were banned, his defence of artistic freedom was denounced by Bolshevik officials and after his early death all of his works were censored for the duration of the Soviet period. Most people in Russia learned about Lunts from a Party denunciation of 1946 that was part of the school curriculum. Abroad he was known chiefly for his articles, considered "The most forthright plea for creative freedom to be found in the annals of Soviet literature." (Victor Erlich) Only in the 21st century have his complete works been published in Russia, so that now a full and fresh appreciation of his talent can finally be made.